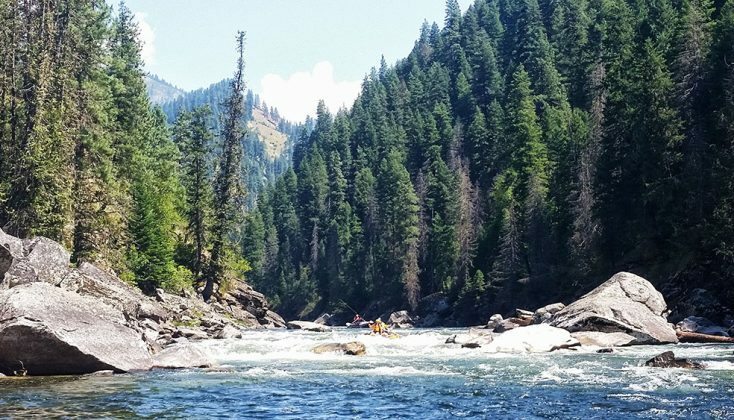 Whitewater rafting trips on the “River of No Return” are one of the best family outdoor vacations available. 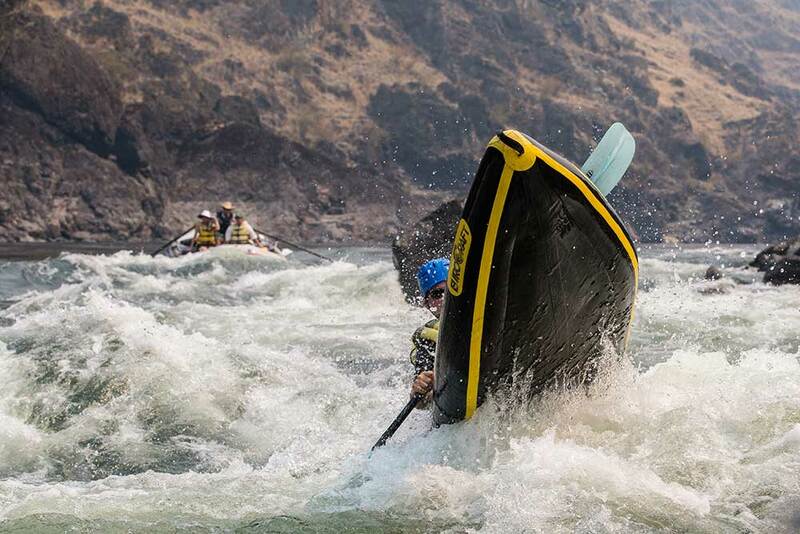 The Salmon River drifts through quiet pools and surges into churning whitewater rapids. Plan to meet at the Red Lion at 7:00 p.m. the evening before your trip for the pre-trip meeting. When you arrive at the Red Lion, please check in with the desk to inform them that you will be making a trip with us, and to check for any messages we might have left for you. At the meeting, we discuss the trip, check out trip gear, and handle any last minute details. Request River Runners Rate. 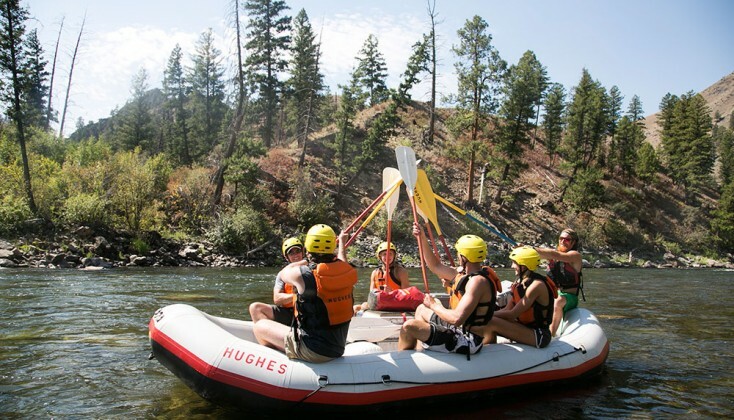 Tell the desk that you are on a rafting trip with Hughes River Expeditions, Inc. Reservations at the Red Lion should be confirmed well in advance. 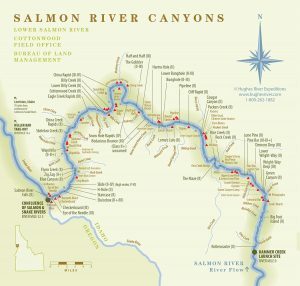 Please be sure to contact the Red Lion as soon as you make your river trip reservations. Lewiston, Idaho, is located on US Highway 95. 114 miles South of Spokane, Washington. 264 miles North of Boise, Idaho. 217 miles from Missoula, Montana. There are commuter flights to Lewiston via Horizon Air, you can also rent a car and drive to Lewiston from the Spokane airport. Groups can arrange charter vans. Please check with our office for details. There are three airports in or near Lewiston. Nez Perce Regional Airport (LWS) Lewiston, Idaho. Small market airport. Carriers: Delta, and Delta Sky West. Red Lion Lewiston Hotel provides complimentary van service between airport and hotel. Pullman-Moscow Regional Airport (PUW) Between Pullman, Washington, and Moscow, Idaho. 45 miles from Lewiston. Alaska Airlines, American Airlines. Rental cars available. Spokane International Airport (GEG) Spokane, Washington. 115 miles from Lewiston. Carriers: Alaska, American, Delta, Southwest, United, Frontier. All major rental car companies available. Groups can arrange charter van/bus. Check with our office for details. We provide land transportation to put-in from Lewiston the morning of the first day of the trip. The drive is approximately 75 miles. Plan to leave Red Lion around 7:30 to 8:00 am on the first day of your trip. Red Lion provides no charge parking, and a lock up room for luggage during your trip. At lunch, downstream of the confluence of the Salmon and Snake rivers, we are met by a charter jet boat. 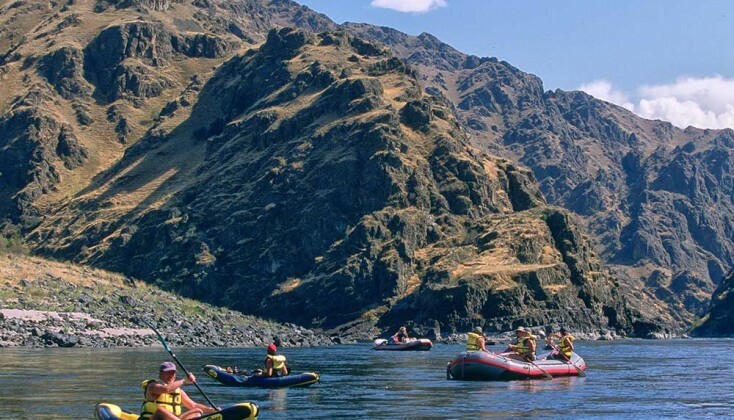 The jet boat takes you approximately 60 miles down the Snake to Hells Gate State Park in Lewiston, ID. The Red Lion meets you there and returns the group to the Hotel. Plan to arrive at the Red Lion around 2:30-3:00 pm on the last day. Cost of the jet boat is included in trip price. 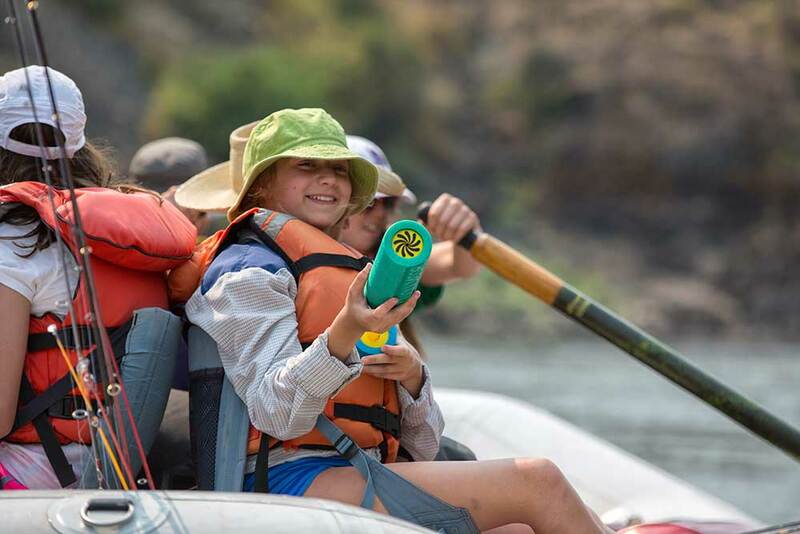 You can purchase an Idaho fishing license and tackle in Lewiston before the trip. You can also purchase an Idaho license by contacting the Idaho Fish & Game. (800-554-8685 or fishandgame.idaho.gov). Cost is $15 for the first day and $7 for each additional day. We provide sturgeon fishing gear, and ‘catch and release’ fishing for white sturgeon is great fun. 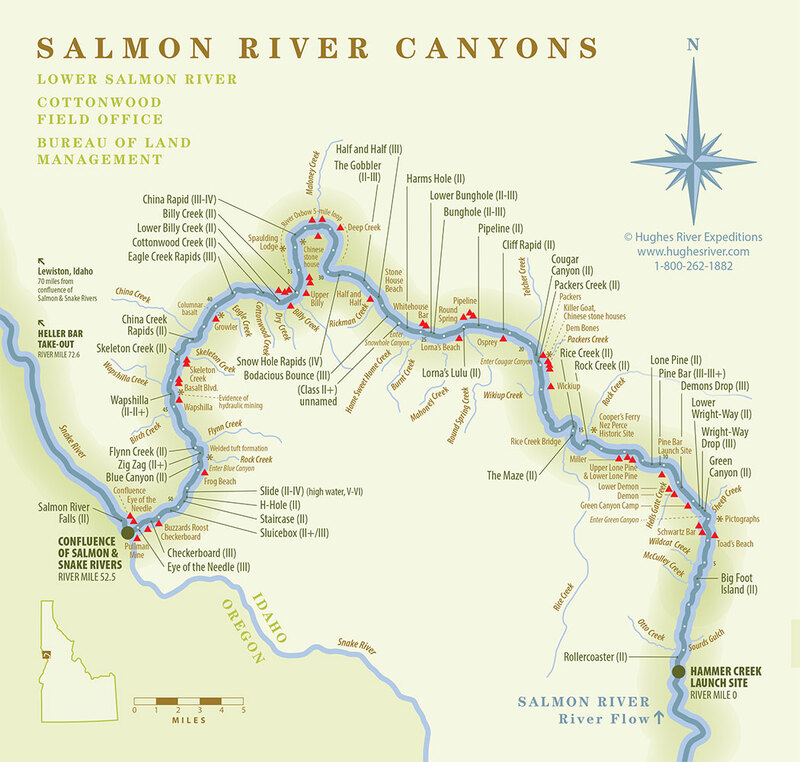 Salmon River Sturgeon can reach more than 9 feet in length. 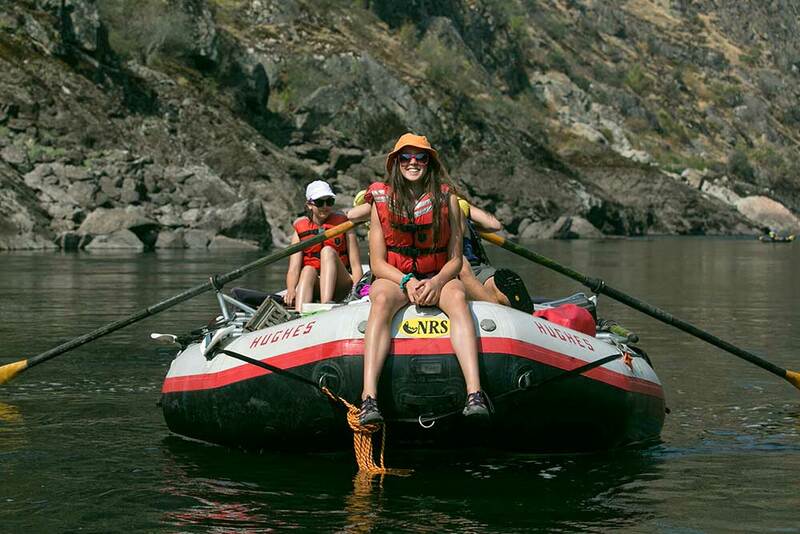 Vehicle and luggage storage during your float trip is available through the Red Lion. Check with the desk. Summer is very warm. Daytime temperatures may range from 65 to 110 degrees. HUGHES RIVER EXPEDITIONS, Inc. spares nothing to assure that all trips we outfit are the safest and best outfitted expeditions available. Our safety record is excellent. However, river running is not without some risk, and you as a potential river runner must be willing to assume some risk. HUGHES RIVER EXPEDITIONS, Inc. assumes no responsibility whatsoever for your personal safety or for damage or loss of your equipment. The trip was a great success and we were very pleased with your services. I will be sure to reach out to you if another group at Capital is interested. And in a few years I hope to return and bring my family on the river.